You can certainly see a place from the comfort of your passenger seat window. But to really get a feel for Maine – its craggy coastline and mountains, its forest and rivers, its small towns and bustling cities – you need to get out into it. 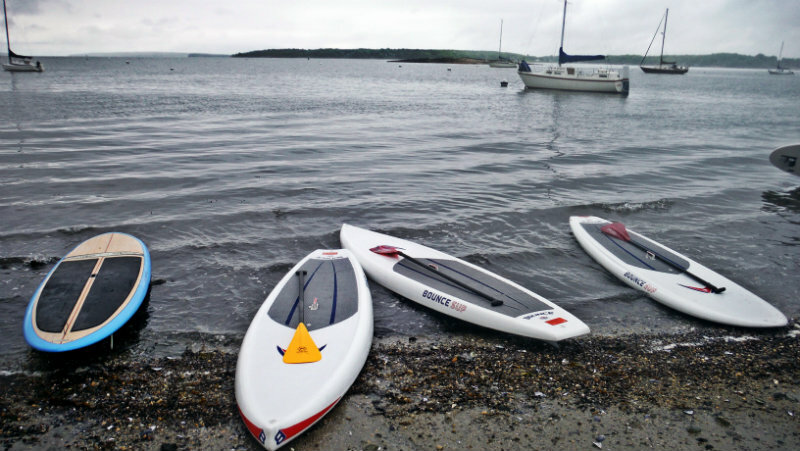 You can tour Maine lighthouses by bike or paddle to an island via kayak. You can walk the historic streets of a coastal town or hike your way up to a scenic summit that over looks more peaks and ponds. You can tackle whitewater or chill out with beach yoga. And all the while you’ll breathe in ocean air or the warm dirt smell of a trail. You’ll feel the cold splash of salt water on your bare legs and the steady incline of Maine’s rolling roads in your quads. You’ll see things and learn things and meet people – and make some brag-worthy memories along the way. 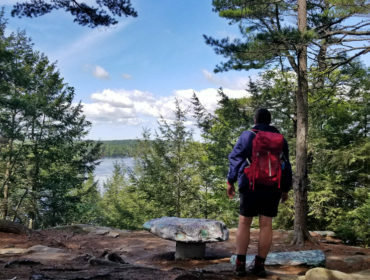 Whether you’re visiting Maine for a short time or you live here all year long, here are some active ways to see Maine – outdoor adventures that last a couple of hours to a entire week. May your explorations lead you to wonderful new-to-you places (and may your physical activity earn you the right to eat as much seafood, ice cream, and baked goods as your heart desires. Besides, you’re on vacation, you can eat whatever you want). Explore the Debsconeag Ice Caves near Millinocket with a Maine Guide. Get a ride to Omaha Beach on the Debsconeag Deadwater, then canoe approximately 1.5 miles to the entrance to First Debsconeag Lake. Go for a swim and have a snack on one of the pristine white sand beaches before heading to the ice caves. A visit to one of Maine Huts & Trails four huts is always a fine idea (don’t let the word “hut” lead you astray – these are sharp-looking and sustainably built huts that are comfortable and cool, and during full season, they cook delicious meals and sell beer and wine. Off season, you bring your own). But a stay at the hut combined with more adventure? Even better! Hike in to Stratton Brook Hut just in time for dinner and relaxing, before waking up in the morning to hike with your guide along the Fire Warden’s Trail to Avery Peak, a 4,000-foot peak of the Bigelow Mountain Range. From low-lying vernal ponds to exposed glacial outcroppings, you’ll be in the heart of one of the most exciting and diverse landscapes in the world. Then it’s back to the hut for dinner and well-deserved rest. Two nights, three days total. L.L.Bean in Freeport is a popular destination for outdoor gear and apparel (and for 2 a.m. visits just because you can, since they’re open 24 hours). But L.L.Bean’s Discovery Schools are a great way to try an outdoor sport or improve your skills. 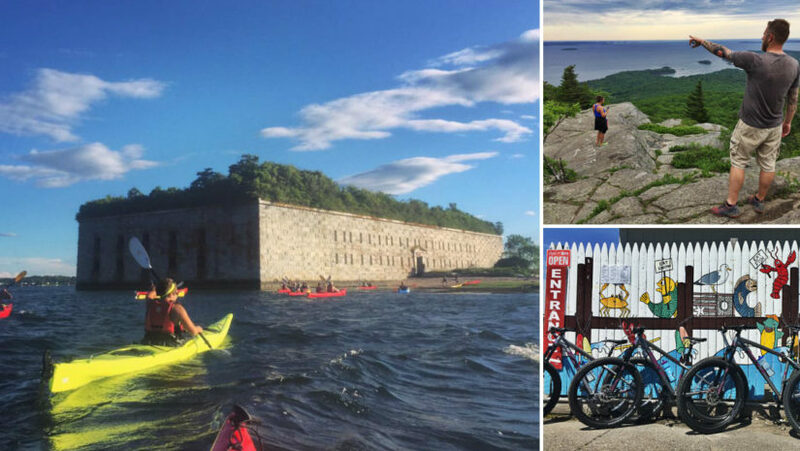 From paddleboarding and kayaking to hiking and biking, events range from a couple of hours to multi-day excursions. 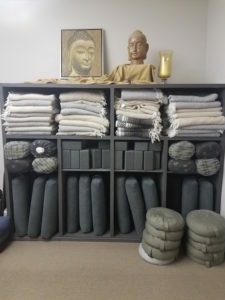 Discovery courses cost $25 (all equipment and guidance included), there are free clinics, and trips range from $100-$400. Canoe the Penobscot River for 2-7 days. You’ll see some glorious sights along the river (and some wildlife, too, like moose, loons, deer, ducks, and eagles), but it won’t be paddle, paddle, paddle the entire time. You’ll have a chance to hike, fish, explore, and take photos. Camp each night on the river and have dinner next to the fire. And enjoy the view of Mt. Katahdin. Tours run May through October, and you have the option of having a guide or doing a self-guided tour (previous experience is required for a self-guided tour). Get away with Back Country Excursions in Parsonsfield. Also, Back Country Excursions is hosting its 24th Mountain Biking Microbrew Festival August 9-12, 2018. Full pass includes six meals, 2.5 days of guided rides, three nights on premises, brews, live music and use of all facilities. Bike rentals included. 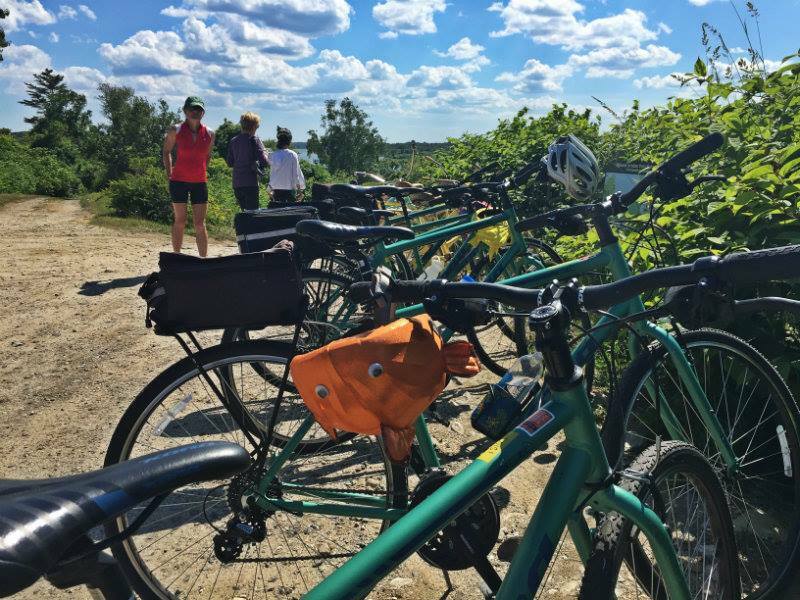 Guided tours with Kennebunkport Bicycle Co.
Ride the trails of Kennebunport! 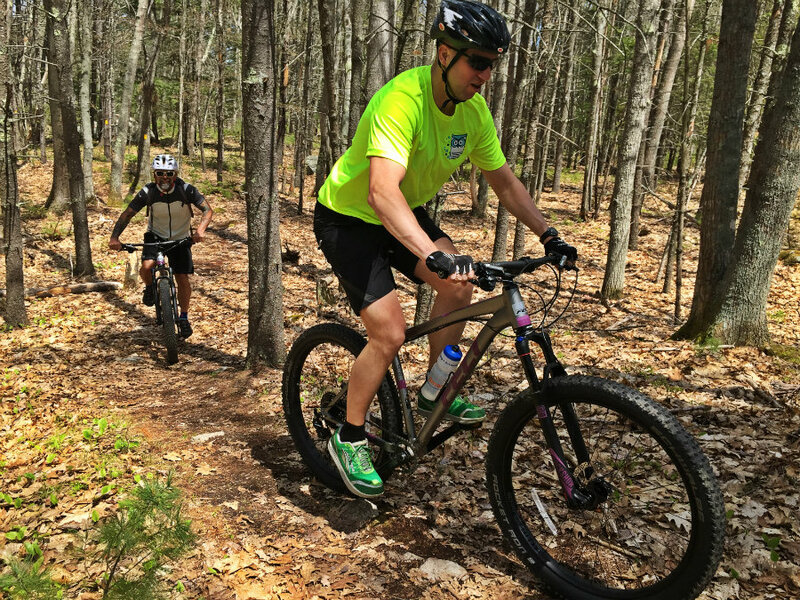 Enjoy flowing singletrack through wooded Maine forest with one of Kennebunkport Bicycle Company’s guides. 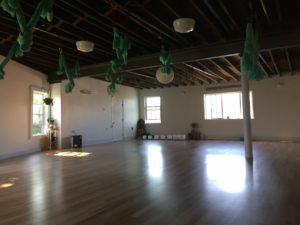 Beginner-friendly and bikes, helmet, snacks, and water provided. $120 per person. 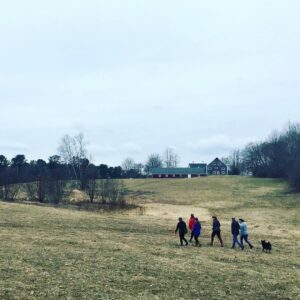 Sometimes you just want a straight-up workout – an hour spent running up hills or doing squats and jumping jacks or yoga outside – so you can spend the rest of the day doing more stuff (like eating – Maine is good for that, too). 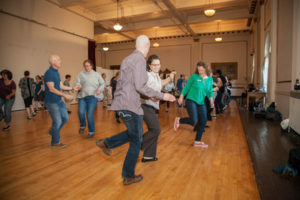 A Historic Workout offers physical activity AND local history. 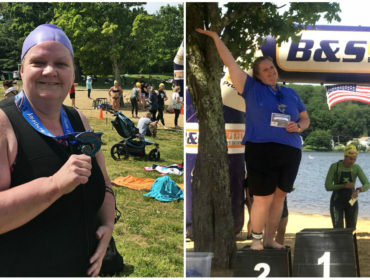 It’s an all-levels fitness class led by Leigh Rush Olson, who’ll guide you through a warm up and speed walking/jogging to area landmarks, and she’ll tell you all about Portland’s backstory while you exercise at each stop. Meets Saturdays at 9 a.m. at 1 Monument Square in Portland, next to the “Our Lady of Victories” Monument. 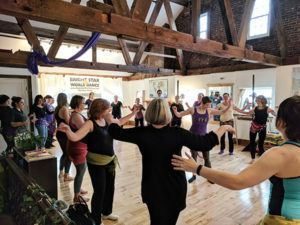 $25 per person: historicworkouts.com. There are walking tours at 11 a.m. as well. 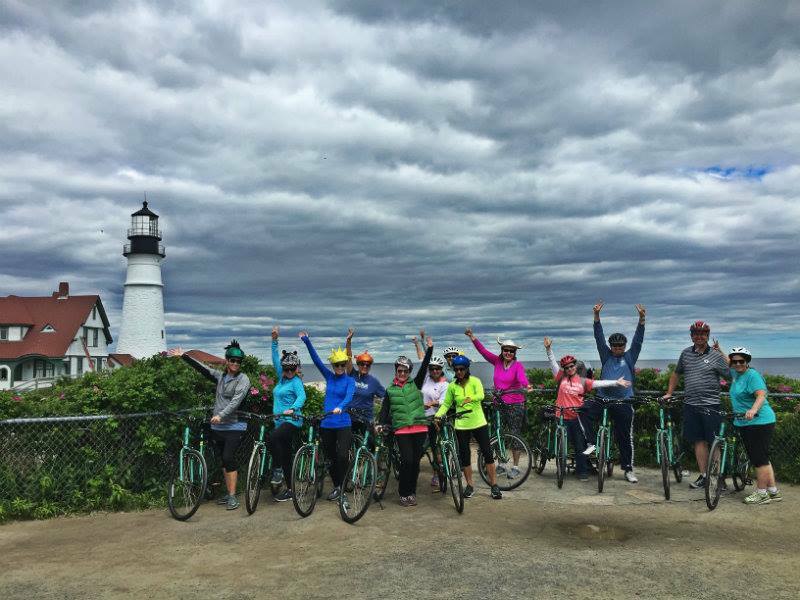 Tour Portland Harbor aboard Maine BayCycle, where you can pedal to your heart’s content. (Be that the entire 90-minute cruise or for five minutes, after which you’ll be distracted by the waterfront views, the socializing, and the beers you brought on board.) 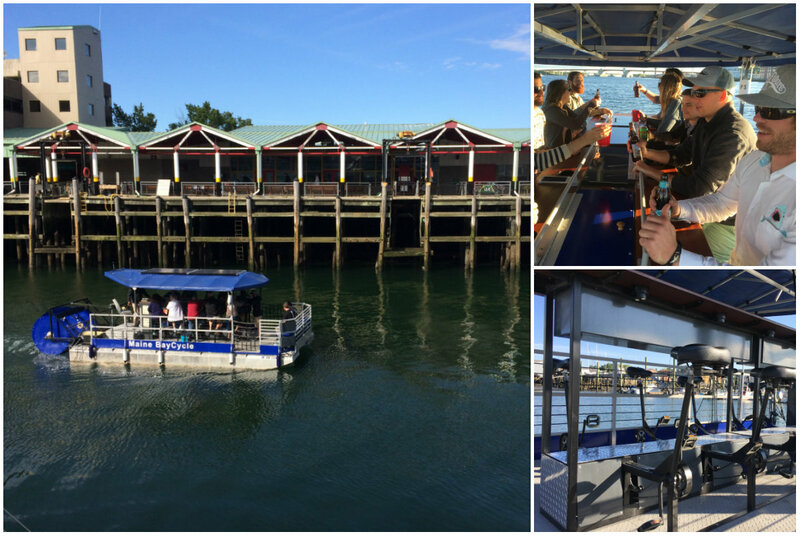 It’s true, you can bring your own beverages on board Maine BayCycle, and you can also get away with not pedaling whatsoever. But the pedaling is half the fun! Cruises daily at 11:00 (weekends only), 1 p.m., 3 p.m., 5 p.m. and 7 p.m. from Bell Buoy Park, located between Ri Ra Irish Pub and Casco Bay Lines on Commercial Street, Portland. 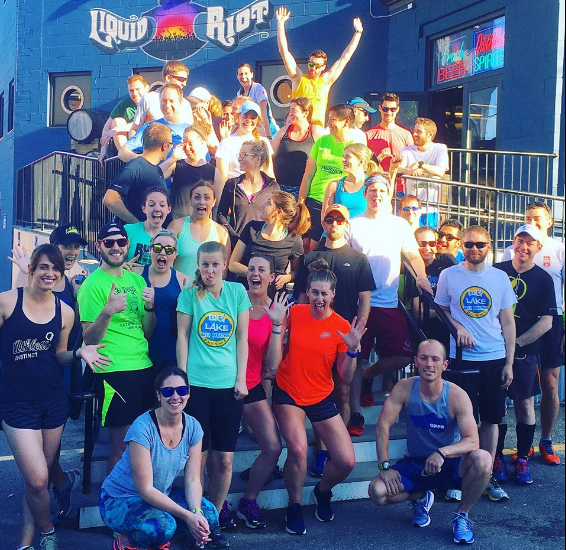 Meet up for a free group run on Thursdays in Portland. Stick around after for a beer and socializing. Photo courtesy Old Port Pub Run. 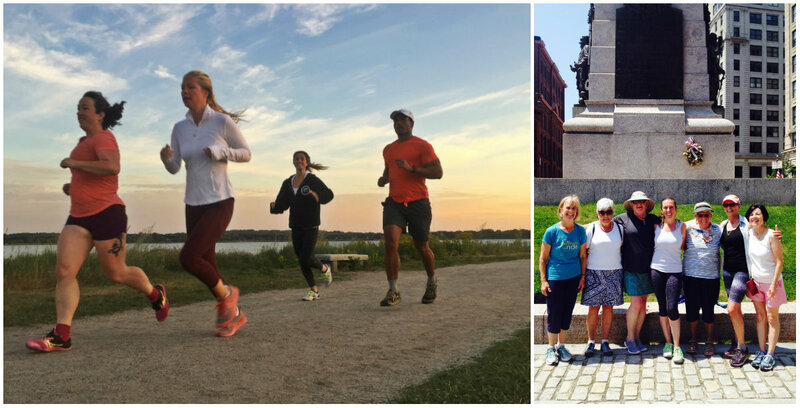 In Portland, there’s Old Port Pub Run (Thursdays), Thick Quad Squad (Tuesdays and Sundays), Runaways (Wednesdays and Saturdays). 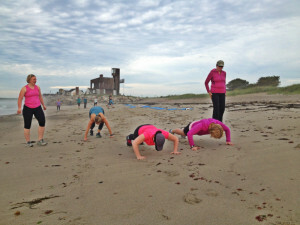 In Camden, check out Trail Runners of Midcoast Maine. 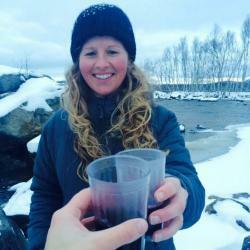 There are also wine walking tours in Portland with Wine Wise Events and walking tours of local eats in Kennebunkport, Portland, Camden, Rockland, and Bar Harbor with Maine Foodie Tours. 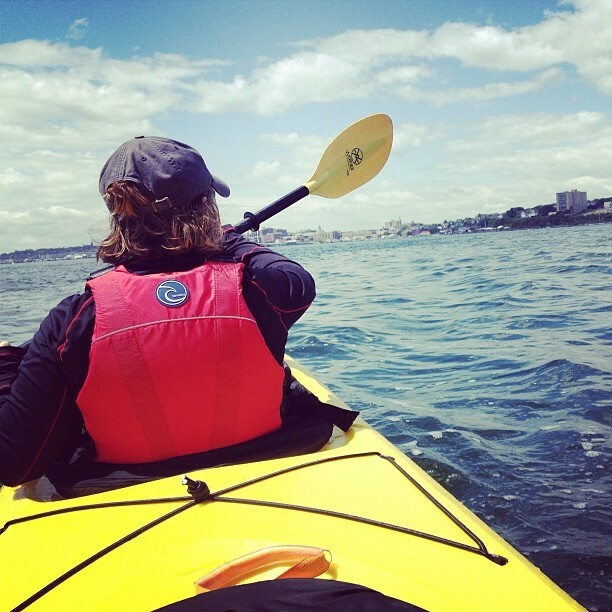 Or, if you just want a day trip, check out Portland Paddle’s guided paddles in Casco Bay, where you can venture out to Fort Gorges if the conditions are right. Never rocked climbed before? Here’s your chance. 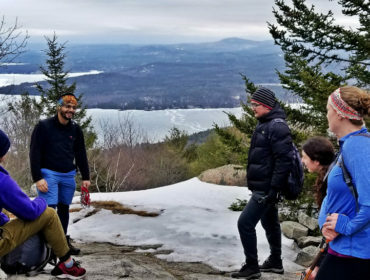 Beginners are absolutely welcome to learn to rock climb with Equiniox Guiding Services, which offers climbs in and around Camden Hills State Park. Rates rage from $70-$160 per person for a half-day trip and $110-$265 per person for a full-day trip, depending on the size of the group. This three-day getaway takes you around the coastal town of Camden, with rides along a tree-lined ocean preserve, on an island is Penobscot Bay and to the nearby town of Rockland to see Owls Head light. You’ll enjoy a sunset cruise, to boot, and lots of great Maine food. There are also three-day options in Acadia and Bar Harbor (Exploring Acadia Tour) and the Kennebunks (Beach and Backroads Tour). 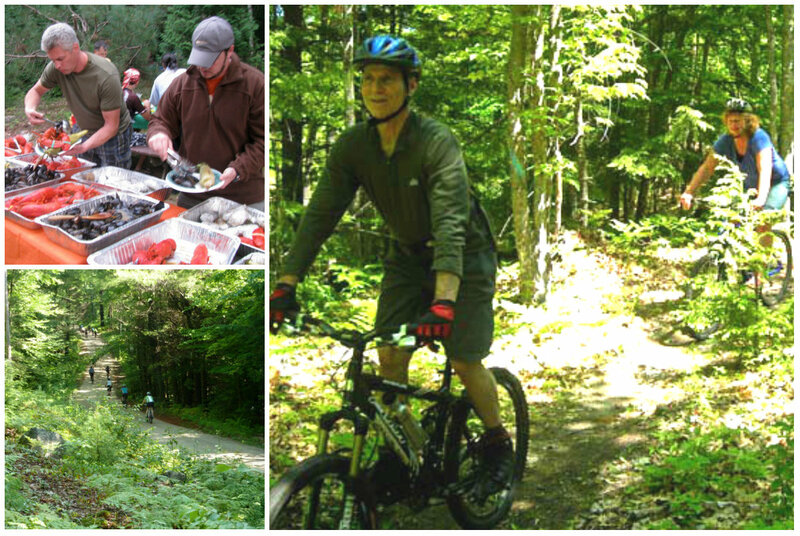 Mountain bike from hut to hut with Maine Huts & Trails. Go on a self-guided walking tour of Portland. 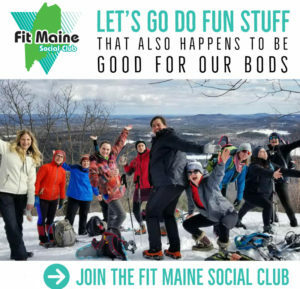 And, of course, you can always find active events in Maine by check the Fit Maine calendar!